Additional Cup with Different Design? This adorable 4oz Espresso cup not only looks great but is a wonderful gift for all occasions and all coffee lovers. Such a sweet cup makes you truly feel like you're on holiday in the Mediterranean. A beautiful thoughtful gift made with fine pottery with a rustic touch. If it's your 8th (pottery) anniversary then start the special day with your gift holding a nice shot of coffee! You can choose from 4 designs via the personalisation tab, why not mix and match your selection? Agapanthus: The delicate multiple blooms of the agapanthus flower makes a beautifully intricate design. Thriving along our wild coast, agapanthus is the herald of Summer. 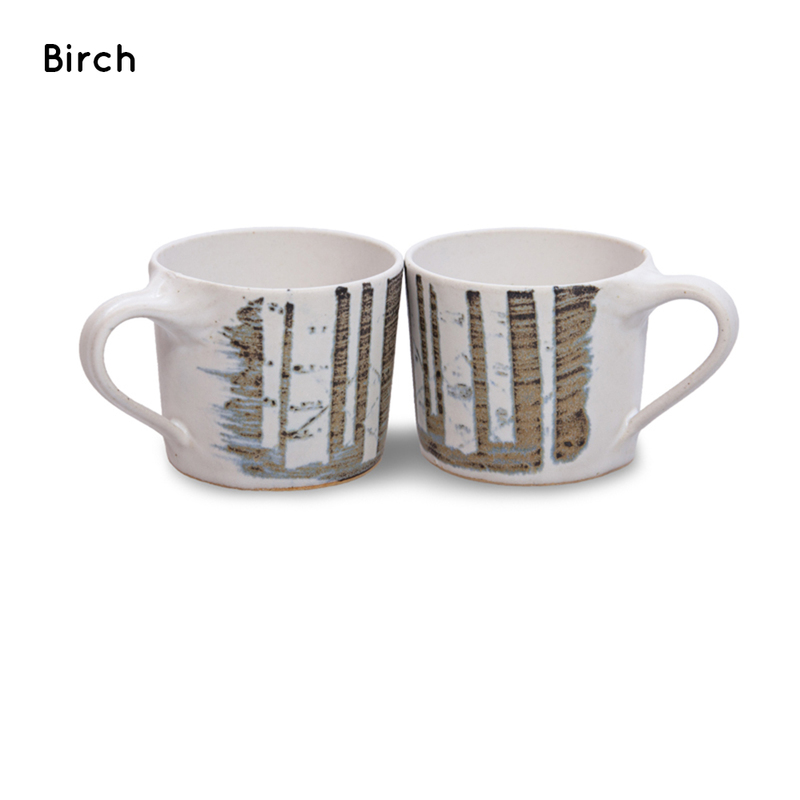 Birch: Soft silver birch trees stand in the foreground as glaze sweeps behind. This surface has a more abstract and contemporary feel. 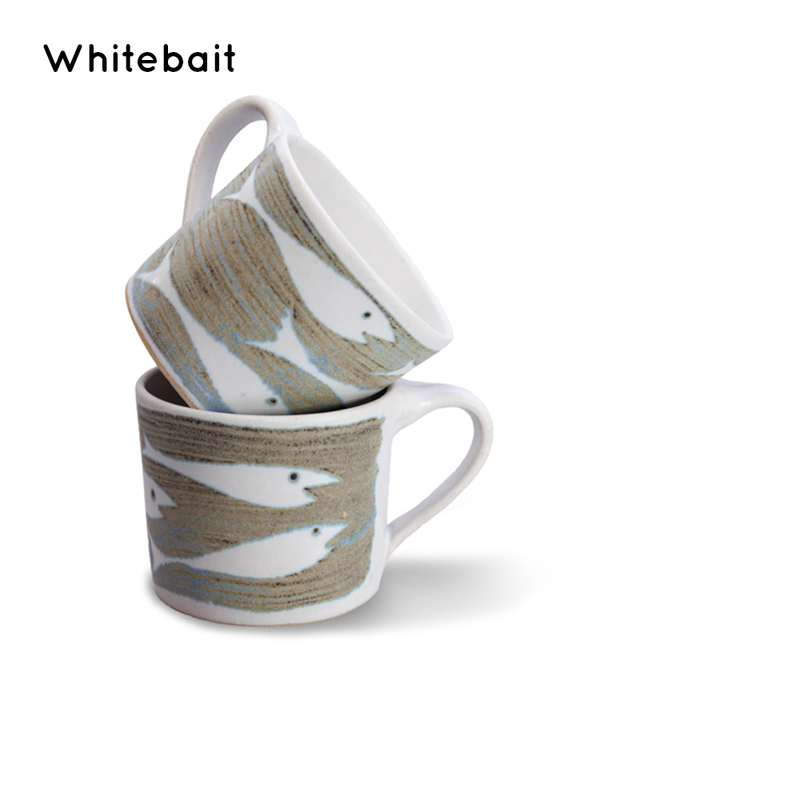 Whitebait: An iconic design of whitebait shoals which captures the continuous and ever changing movement of shoals of whitebait. This dynamic surface pattern echoes the beautiful hand thrown shapes. Seagull: Seagulls are synonymous with the coast and our gull decoration captures their wielding patterns against constantly changing skies. 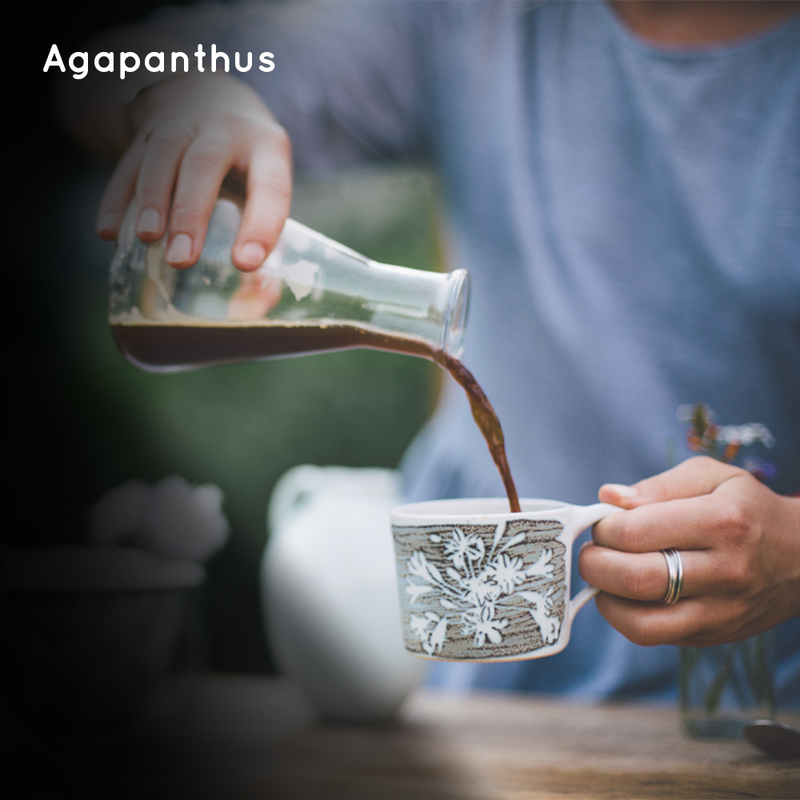 This is for a single espresso cup, if you require multiple espresso cups then you can increase the quantity via the personalisation tab, you can also mix and match from the 4 different designs. 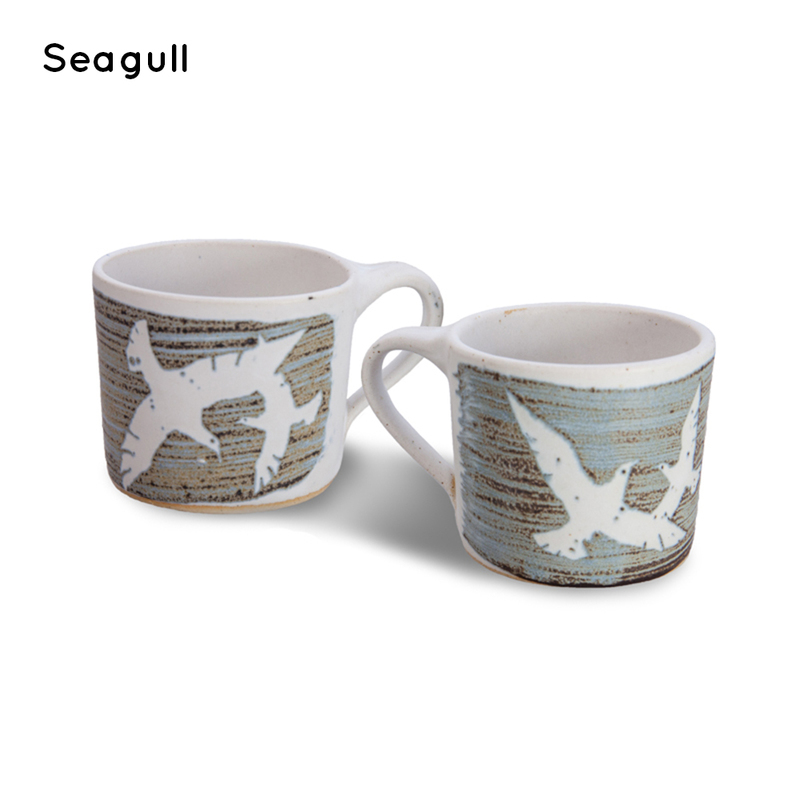 Shipping cost to all locations is £5.00 and your 4oz Pottery Espresso Cup will be delivered by Royal Mail. This item may need to be made to order. If we hold them in stock it will be dispatched immediately, if we need to make it then it may take up to 10 working days to be delivered. We will notify you once it has been dispatched.